Home / Entertainment News / Mass exodus from KTN continues as another talented journalist quits-See her parting shot. Mass exodus from KTN continues as another talented journalist quits-See her parting shot. 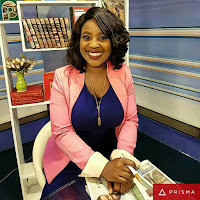 Thursday, January 31, 2019- The Standard Media Group owned TV station has lost yet another talented journalist in Zindzi Kibiku. The sassy screen siren has been co-anchoring the Morning Express show with Michael Gitonga. Taking to twitter on Thursday, she thanked the media house for giving her an opportunity to hone her skills. “August 2015 I joined KTN News team as an intern. As infant as the station was with a goal to be the first 24/HR news network, so was my budding journalism career. They took a chance on me and allowed me to realize my dream while being myself,” she posted. The communication graduate from the Daystar University joins a growing list of presenters who have recently quit KTN and joined rival media houses. Betty Kyallo joined K24, Mashirima Kapombe and Yvonne Okwara both joined Citizen TV while investigate journalist, Dennis Onsarigo was appointed the Director of Communications in Taita Taveta County by Governor Granton Samboja.